Signed and dated l.r. corner, blue synthetic polymer paint "brett whiteley/ 75-76". Gavin Wilson, Cuisine & country: a gastronomic venture in Australian art , 'Cuisine & Country', pg. 9-66, New South Wales, 2008, 44, 45, 49 (colour illus. ), 88. 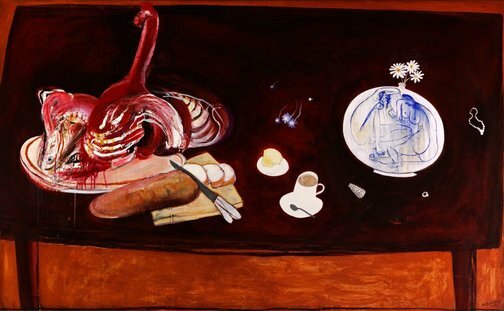 Brett Whiteley: Interiors , Sydney, 2001. List of works.